Turkey is home to over 3.1 million Syrian refugees – the largest population of Syrian refugees. In total, more than 3.3 million Syrian refugee school-aged children do not have access to education and are not enrolled in school. More than 43% of school-aged Syrian refugee children in Turkey, Lebanon, Jordan, and Iraq are not enrolled in school. 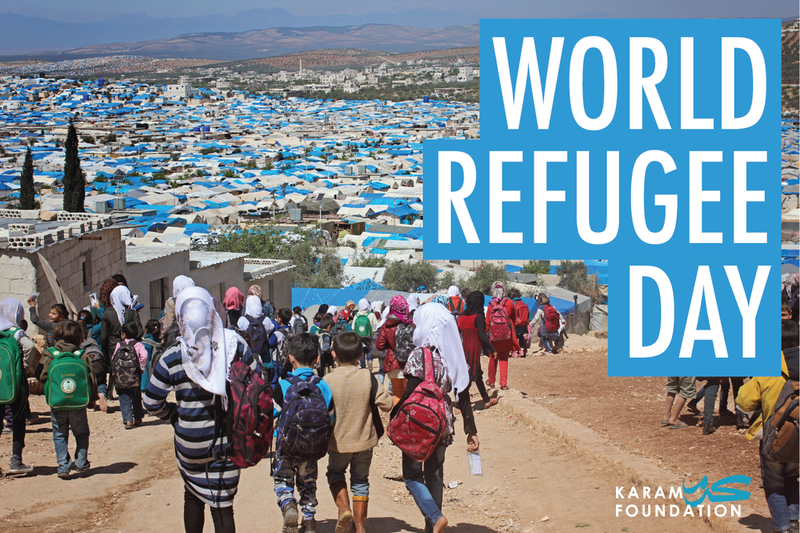 In honor of World Refugee Day, we are counting YOU to help us support Syrian refugees in the US! The US admitted 21,000 Syrian refugees in total. That is less than 1% of the global Syrian refugee population. The US has only accepted 11 Syrian refugees this year. Jumpstart for Refugees is Karam Foundation’s US program assisting recently arrived Syrian refugees “Jumpstart” their lives. Families face a number of challenges when they first arrive to the US, including: (1) access community services due to lack of mobility, (2) language barriers, (3) financial barriers, (4) education gaps or lack of credentials for employment, (4) lack of support and social services. Karam seeks to mitigate these problems by providing families with the support they need to Jumpstart their lives! 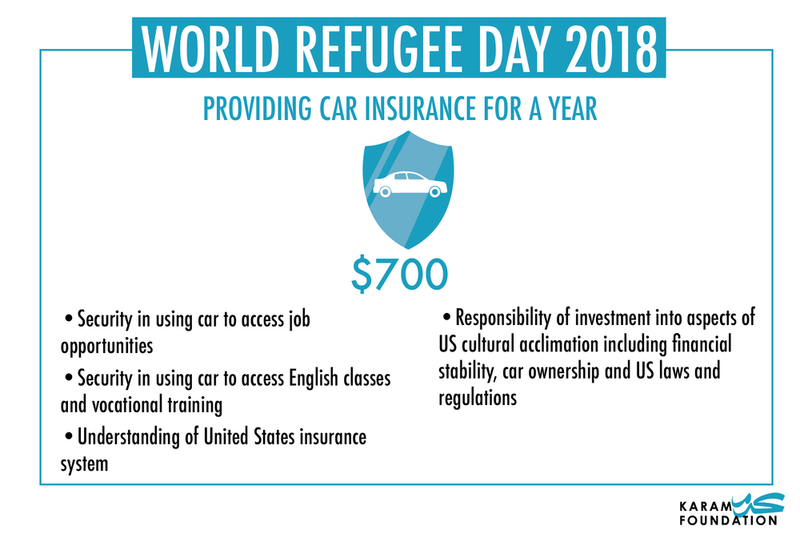 here's how you can support syrian refugees in the us! With access to a stable mode of transportation, families obtained better jobs and higher level English courses. Karam is currently supporting 32 families across 8 states. This includes linking families to vocational training programs, providing emergency assistance on a case by case basis, and referring families to specialized community organizations. Karam House, Reyhanli is a community innovation center. It is a safe space for Syrian refugee youth to advance their education and receive one-on-one guidance from skilled mentors that are refugees themselves. The curriculum at Karam House provides students with cutting-edge workshops including: Entrepreneurship, Technology, 3D Digital Design and Fabrication, Graphic Design, Journalism, and English and Turkish Courses. Karam House is equipped with a maker-space, a 3-D printer, a library, a culinary lab, computers, and so much more. 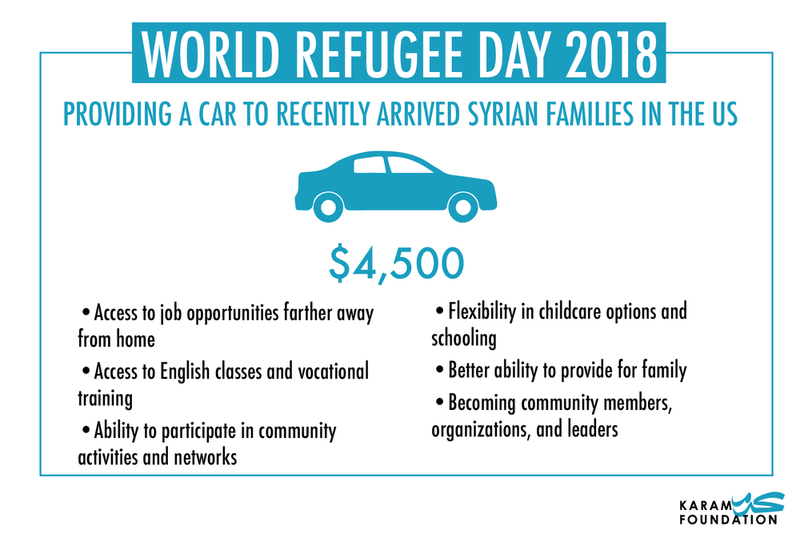 Karam's Sponsor A Syrian Refugee Family program provides refugee families in Reyhanli and Istanbul – 2 cities home to the largest populations of Syrian refugees – with a monthly financial stipend so that their children do not have to work and can go back to school. This program aims to combat child labor, stabilize families, and make education more accessible to families in need so that their children have a bright and hopeful future. To date, we have sponsored more than 100 families and sent nearly 300 children back to school. Invest in Syria's future – become a sponsor today! It costs just $50 to send a child to school for 1 month. We believe that education is the key to helping Syrian students achieve their goals, become contributing members of their host communities, and rebuild Syria in the future. The Karam Scholars program provides gap funding for Syrian university students in Turkey, tuition support for a select group of students in Jordan, and provides mentorship, tuition support, and gap funding for resettled high-school Syrians in the United States who are pursuing higher education. Our goal is to build the next generation of Syrian leaders. We hope to expand this program to support even more students than before. We have provided 109 scholarships since 2016. We hope to provide more in 2018. Karam currently supports 32 families in 8 states. We currently have a total of 46 Karam Scholars studying at various institutions in Turkey and Jordan. At least 200 Syrian refugee youth are regular members of Karam House in Reyhanli, Turkey! 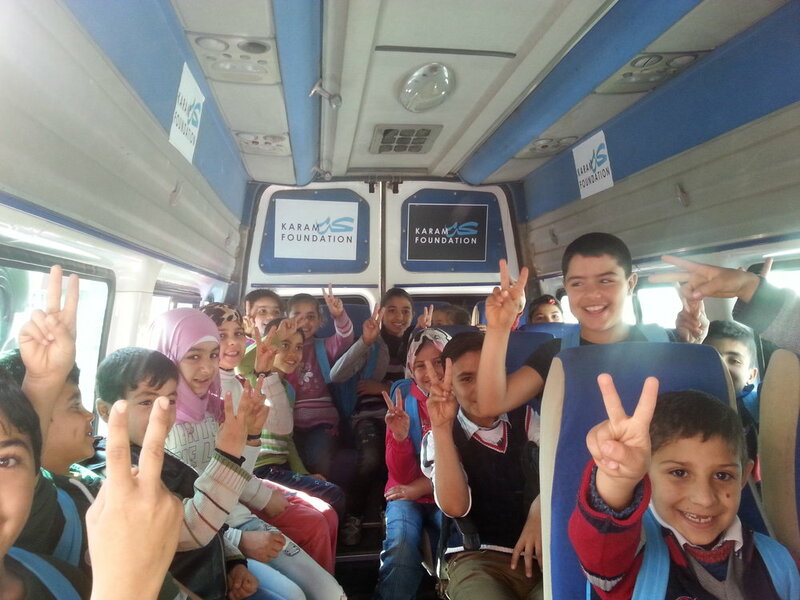 We currently sponsor 7 school buses – helping more than 200 Syrian refugee kids get to school in Turkey! 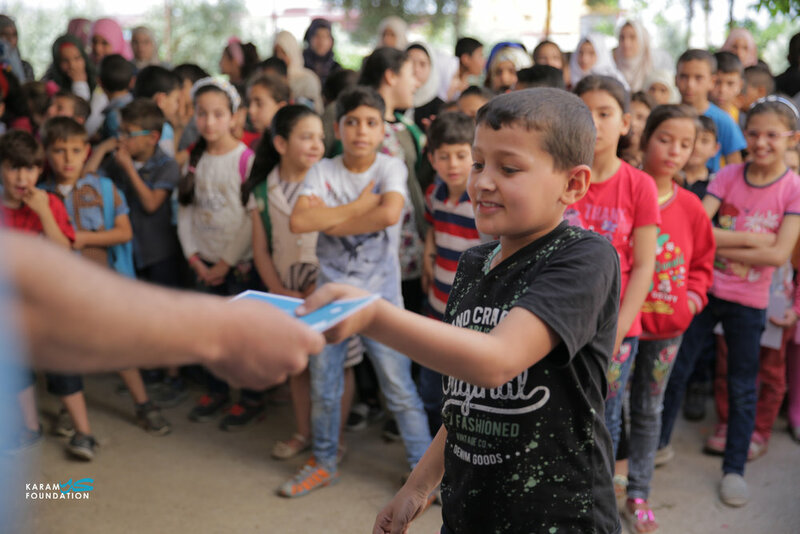 Karam sponsors nearly 100 Syrian refugee families in Istanbul and Reyhanli – more than 250 kids have gone back to school with our support!